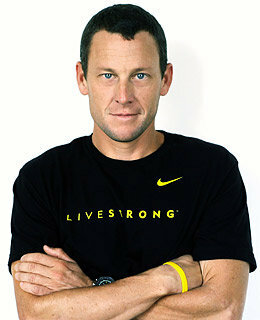 Case and Point: If Lance Armstrong Cheated, Who Cares? The whispers have been around for years and this past week one of his teammates has come out and said it, Lance Armstrong used PEDs. According to his United State Postal Service teammate Tyler Hamilton, Armstrong was one of many who used HGH and testosterone. But really, who cares? It's the great hypocritical divide that's been going on in the country for nearly half a decade. Ever since the Mitchell Report was released and names were officially named, as well as admissions were made, the lines have been split. Noted admissions from the likes of Jason Giambi, Mark McGwire, and Andy Pettite were largely met with apathy or acceptance for the revelation of cheating. Even someone who was busted for cheating in David Ortiz, a largely liked figure, blew over very quickly. Meanwhile continued denials by the likes of Roger Clemens and Barry Bonds drives them further towards villainy with every moment that they don't admit to juicing. One would figure that their admissions, at this point especially, would be largely met by the same reaction an admission from the likes of Alex Rodriguez was met with: negative press and worse reaction. Except the outcry from the public would remain. This is the ugly truth: It doesn't matter if you take steroids, HGH, or any other synthetic PED under the sun while you're playing a professional sport. If you're busted you'll serve a suspension and pay a fine, big deal. What matters is how the public perceives you. For years the rumors of Armstrong's cheated have swirled, largely bandied about by no-names and wanna be's in the sports world who looked to make a buck. From all things reported, this is much the same story but it carries more weight. It's not some foreign entity looking to vilify the ugly American. No, instead it's one American, a teammate, against another. It carries more meaning and looks to be the real deal. And yet no one cares. Why? Because we all know Armstrong's story. He's the underdog that managed to make it. He survived testicular cancer to become the seven time champion of one of the most physically grueling events in all of professional sports, the Tour de France. He became famous for his accomplishment, one that nearly everyone looked up to. With his fame he become a symbol. Not just a symbol of perseverance but of surviving one of the worst diagnosis that one can receive in their lifetime. He gave hope to millions who had none and become one of the biggest and most important figures of a generation. He used that fame for good. We all know it. Chances are if you're reading this at one point or another you dropped a dollar on a Livestrong bracelet. You wore it proudly to show that you, like Lance, wanted to help find a cure for cancer. With that bracelet, and other Livestrong items, the brand has raised hundreds of millions of dollars to finding a cure for cancer. All this came about after Armstrong's first Tour de France victory. A victory that may now officially be tainted by the stain of PEDs and people will care. Indeed, there will be a small pocket of people who will feel cheated, and rightfully so. They will pale, however, in comparison to the vast amount of people who don't care whether he used steroids, HGH, testosterone, or any kind of other artificial performance agent. Why won't they care? Because like Giambi, McGwire, Pettite, and Ortiz he's looked at as a good man and a good man is easily forgiven.